I'm psyched to show the world these photos! I photographed Julia & Dustin's wedding ages ago and I was so excited when they asked me to photograph their growing family. I really enjoy seeing what kind of cute creatures (otherwise known as children) that are born from my awesome clients! I wasn't disappointed. Meet Penny & Beck. Beck is at this age where photos are the last thing he wants to do. So jumping up and down, high fives and being up on Dad's shoulders are the only "poses" he will do. Penny is delightful, she just smiled and calmly took in the awesome location. 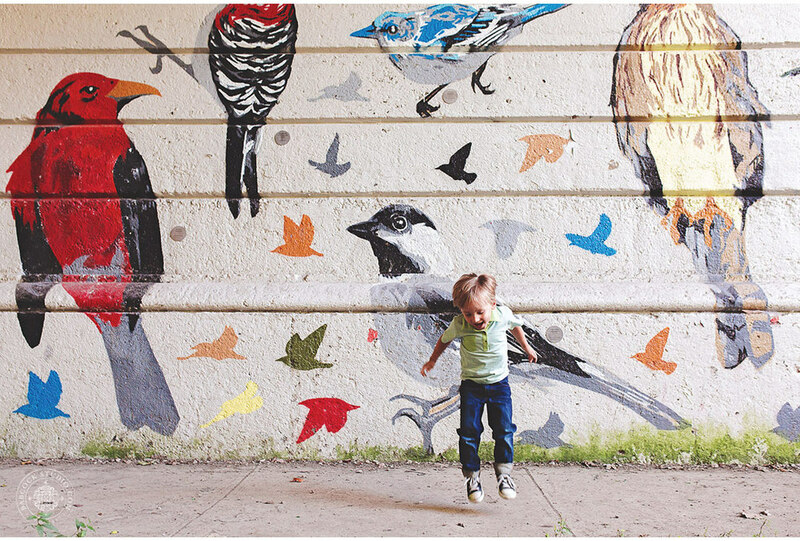 I love when clients have bold ideas, like a road underpass painted with birds. It makes for really fun and unique images! PHILLIPS FAMILY SESSION IN COLUMBUS OHIO ON SEPTEMBER 20, 2015. PHOTO BY SARAH BABCOCK STUDIO. 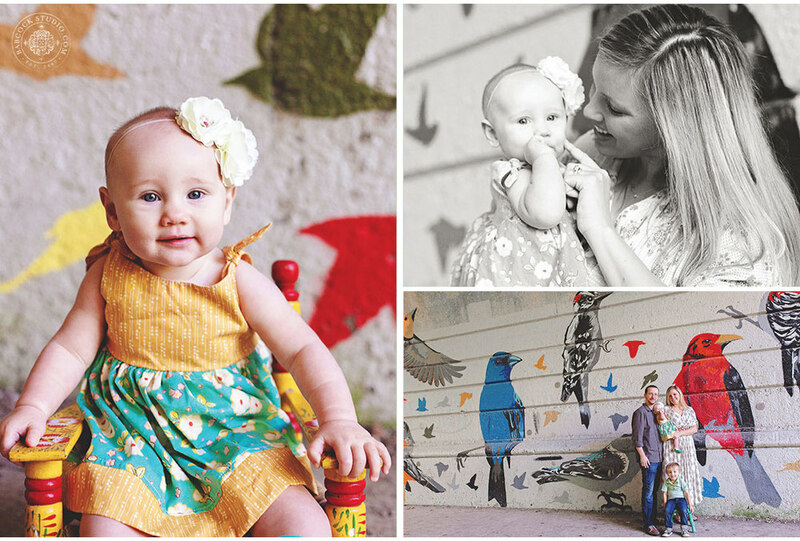 See another family session here!